Reflex Sights Vs Red Dot Sights: Six Key Differences You Should Remember! Holographic Vs Reflex Sights: Learn the Key Differences in Just A Minute! How Do Holographic Sights Work? Learn in Just 5 Minutes! Holographic sights use hologram technology that delivers optimal performance in shooting conditions that aren’t a regular type. These sights come in durable housing to be a shooter’s reliable companion. Should you get yourself this sight today? You may want to ask, “How do holographic sights work?” Sure thing! This knowledge helps you make a good decision. So, let’s proceed to the technical thing of the sight. The technicality involved in this understanding is different from what you may have known while choosing red dot sights. The holographic sight is based on a laser-driven technology and develops a 2 to a 3-dimensional image of the reticle. It is very much famous among the shooters because it enables the shooter to create and lock in on the target without positioning the head in the sight. Holographic technology requires the reticle to be locked on the target. It does not lose its line if the target moves left or right. Therefore, you do not need to set the target again if you move somewhat to any of the directions. A holographic sight is also known as a holographic diffraction sight. Further, it uses laser-transmission hologram based on non-magnifying gunsight that will allow the user to watch through the glass window. The holographic sights create a visible red laser in the reticle mode and then mount it on the prism. 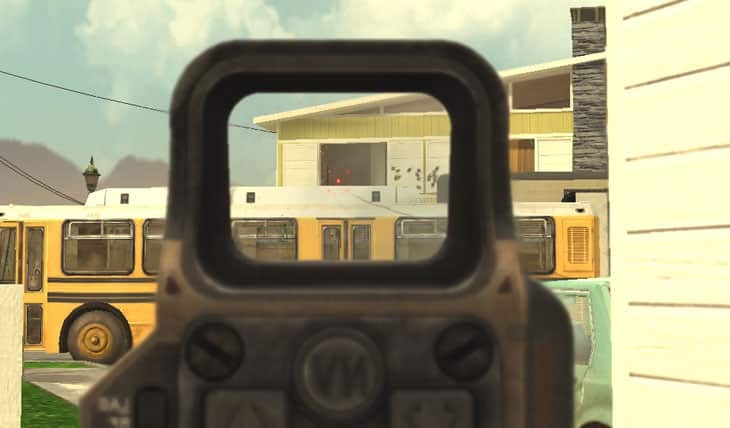 While performing the shooting process, the reticle will appear in the user’s field of view (FOV) and is superimposed on the aim. The key benefit of the holographic sights is that it does not lose its concentration even the shooter’s point of view changes its path. How Do Holographic Sights Work? Unlike red dot sights, these sights let you see unreal images, as compared to the conventional scope. Basically, it is just the reconstruction of the view you are about to watch. The reticle you see in the line is not actually in the main sight, it is a projection of a reticle picture. As you got a question ‘how do holo sights work’, you may relate your thoughts about a holographic sight to those of a movie in the theatre. What a movie camera does is it records the lights from the objects while shooting the scenes. Then, it presents the scenes on the movie screen that you see in the theatre. In holography, the light waves of an object are reconstructed. Accordingly, the holographic sight embeds these wave patterns that are being reflected from the view of the object or target point and then further projects these waves on a window within the sight. This way, we can easily get to the point as to how holographic sight works in the prescribed conditions. Now is the time to take on some fundamental properties of holographic sights. Some of the major factors that dictate the functionality of the technology include magnification, field of view (FOV), reticle, co-witnessing, and zeroing etc. In further parts, we will go through all of them in detail and try to extract their roles in the whole process. Furthermore, this will also confirm and clear the query of how do holographic sights work. The holographic sights will assume the target to appear closer, but the aiming circle will remain with the same size. Hence, it will help the user to carry on with the visual factor while shooting at hundreds of yards. Similarly, the field of view is the angle or the width of the image that is viewable through the sight. All the electronic sight that provides a reticle, will be superimposed by on your habitual (FOV) field of view. 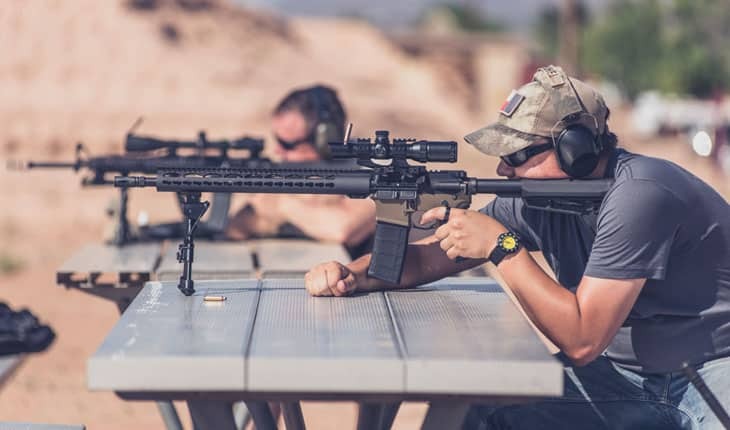 While diagnosing the answer to the question of how does a holographic sight work, you will find that in the holographic sight, the target is covered by the laser image with enhanced accuracy. Ultimately, the time for aiming is reduced automatically. In order to find the true simplicity of the new concept, we face a complicated way with co-witnessing. The co-witnessing refers only one thing – the capability to use either iron sight or optical sight. However, these factors are crucial to the question of how holographic sights work. All kinds of electronic sights are maintained at zero with the same technique that is also used for a regular scope. They also have separate elevation adjustments, windage and calibrated in (MOA) minutes of angle. Technological advancements have contributed to the sights’ being more affordable and compact, and thereby becoming more of an essential than an optional accessory. So, how do holographic sights work to your advantage? With most holographic sight models, you can vary the level of brightness rendered by the laser reticle. However, you may not see the laser sight dots on the target, especially when you’re using it in bright sunlight. 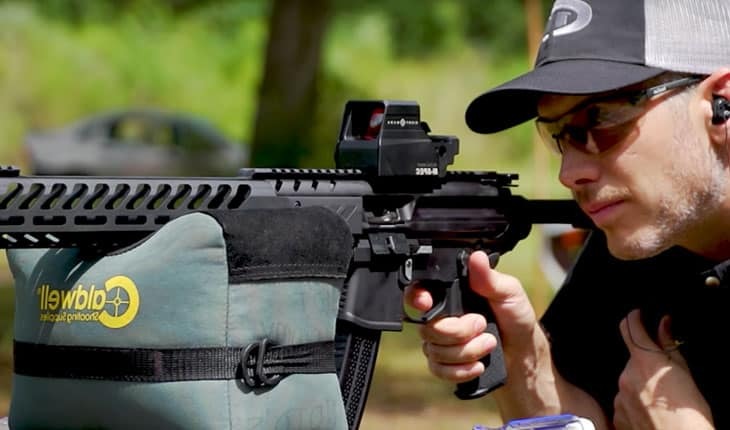 How to Use a Reflex Sight: A Quick Guide to Mastery and Professional Shooting! Shooting Sticks Vs Bipod: A Primer on The Differences! 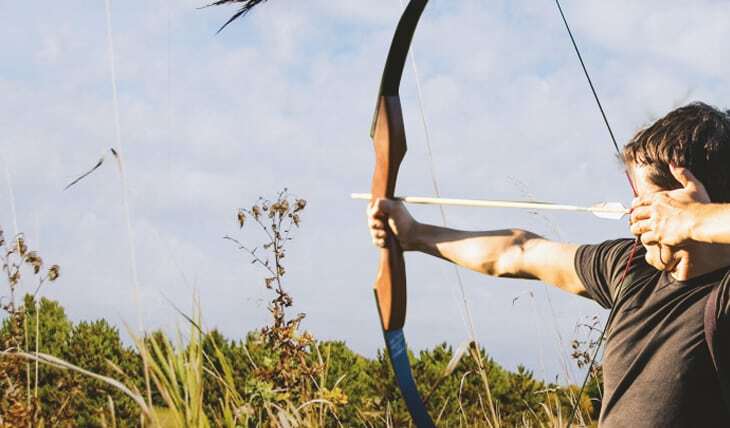 How to Aim A Long Bow for Perfect Shot Every Time? How to Use a Red Dot Sight for Utmost Shooting Accuracy? 4 How Does A Hunting Rangefinder Work?